It’s Friday the 13th! The historically superstitious day has me thinking about Milly’s haunted past. Milledgeville was established as Georgia’s capital in 1804 and legend has it that antebellum spirits still call Milledgeville home. 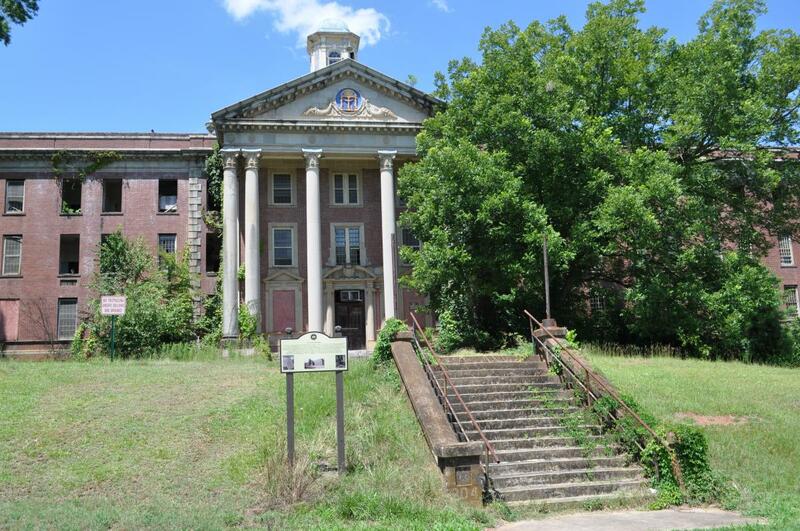 Take a look at some of of Milledgeville’s most haunted locations. After the original Rose Hill home burned down in a fire, Judge Daniel R. Tucker rebuilt the home in 1851. 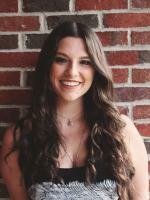 Rose Hill’s resident ghost is Judge Tucker’s daughter, Emma. There have been several sightings of Emma over the years and accounts of unexplained noises and movement in the home. It sounds like Emma’s trying to have a little fun with her guests. In the early 1800’s, Milledgeville set aside 20 acres of land that was to be one of four town squares. It later became known as Cemetery Square and is the burial site of several historic figures like writer Flannery O’Connor and Congressman Carl Vinson. 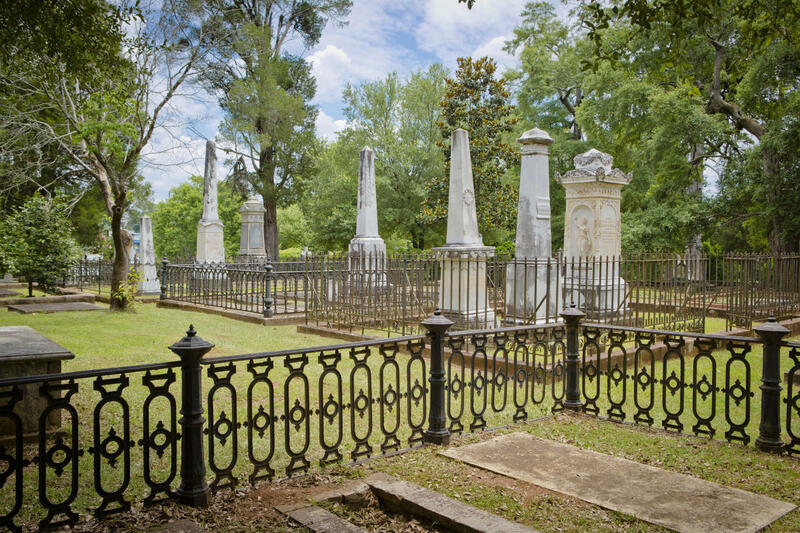 It is also the final resting place for several early Georgia governors, slaves and soldiers. One of the graves at Memory Hill is that of Dixie Haygood, who died on November 21, 1915. Dixie was suspected of witchcraft because of her magician act, called “Annie Abbot.” As the story goes, Dixie supposedly cursed her gravesite before the died and there are accounts of unusual activity around her grave. Don’t get too close! Though the Old State Capitol now serves as Georgia Military College’s campus, it was once a bustling center in historic Milledgeville. It played a big role in the Civil War and because of this, it is now thought to be home to some specters. The sound of legions of ghostly soldiers has been heard on the parade grounds and there has even been a sighting of a Confederate sentry. 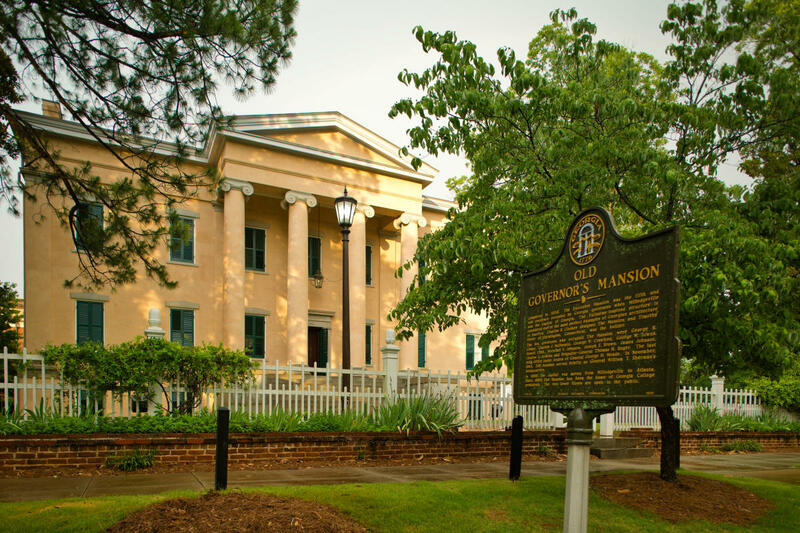 The Old Governor’s Mansion was completed in 1839 and served as the residence of the governor from then up until the capital moved to Atlanta in 1868. 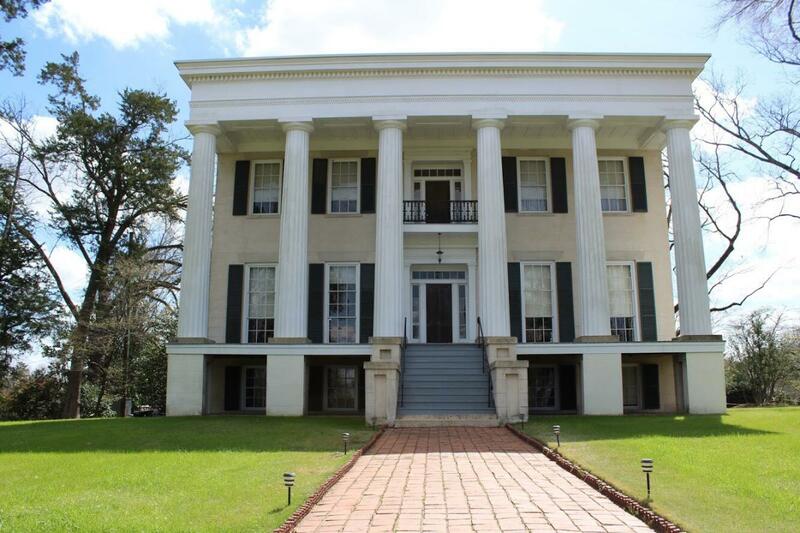 With plenty of antebellum history, there are plenty of spooky stories about the mansion. Of the most notable are the sighting of a woman in an antebellum dress in the State Dining Room as well as the curious yet distinct scent of food cooking throughout the ground floor and basement. Want to learn more? Each October the Milledgeville-Baldwin CVB hosts a popular, fun and spooky tradition, the Haunted Trolley Tour. The trolley will take a trip around downtown and through Memory Hill Cemetery, where the tourists can expect a visit from some haunting characters who have a story to tell. 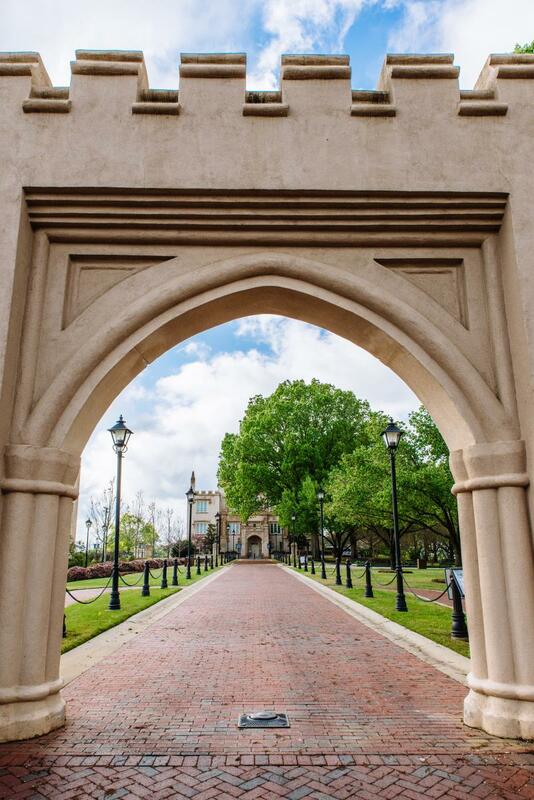 The whole family is sure to have a blast learning about the tales and characters that haunt our beautiful town! More information can be found HERE.